This is an elegant and highly ergonomic swivel office chair. Fluid and engaging in its design, it will harmonise perfectly with all kinds of contemporary office interiors. This product is expertly crafted from durable, smooth, and strong polyurethane, a material which combines a sleek and chic aesthetic with a commitment to optimum functionality. The gentle curvature of the flexible back rest element to this chair is specifically designed to maximise the user’s comfort. 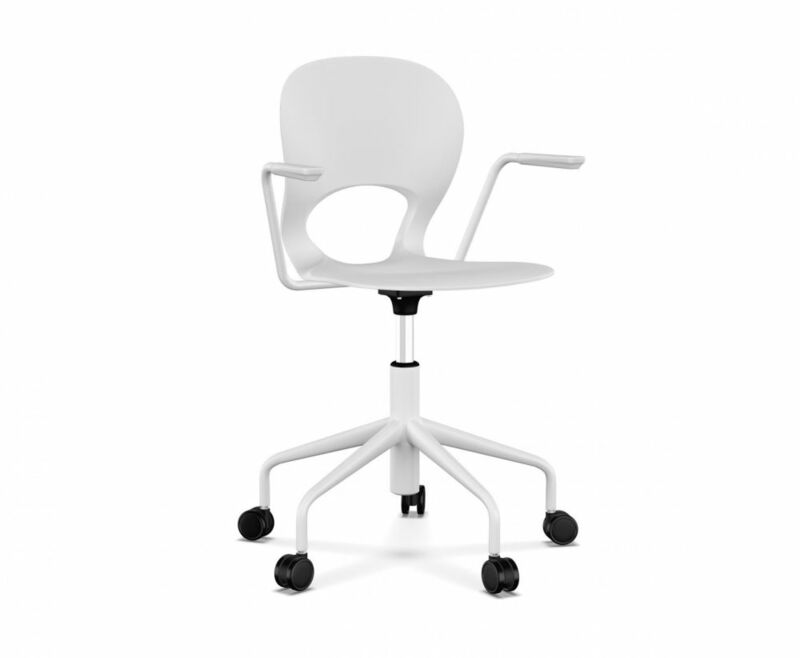 Carefully supporting your back and spine, and responding to the curves of the human body, this is an ideal chair for even relatively long stints in the office. This chair is fully adjustable, moreover, and is very responsive to the touch, meaning that it can be adapted to suit the needs of the individual user. Delicate yet robust, contemporary yet timeless, this is the perfect item for the modern office, as well as suiting a number of other environments, like the home study.